Moving into a new asset management period is the ideal time for the water industry to embrace factory thinking and smart construction says leading contractor Costain. And the impact will be felt through the supply chain. Bernadette Ballantyne reports. Not many contractors would proudly state that their ambition was “to make work more boring and predictable” but Costain water director Matt Crabtree and supply chain manager Steve Fozard, are adamant that the industry needs a more structured and simple approach. To this end there is a lot happening at Costain and in the wider water industry which at the leading edge is showing signs of a new kind of collaboration between contractors and suppliers. The Water Sector Hub consisting of Buildoffsite, the Water Industry Forum, Costain, Skanska, Laing O’Rourke, MMB, Nomenca and NG Bailey was recently established to share best practice in the industry. In January this year Costain created its own factory thinking team to promote a more systems led engineering approach which includes offsite prefabrication. Ultimately this is leading to a more standardised approach to construction where product selection, prefabrication and offsite construction lead to a much swifter and safer onsite assembly process. Results are already clear to see. In Liverpool the GCA joint venture consisting of Galliford Try, Costain and Atkins is building the UK’s first multi-story sequencing batch reactor (SBR) with cyclic activated sludge system (CASS) for client United Utilities. By introducing modularisation the team has shaved nine weeks off the programme, reduced the need to work at height and produced a better quality product. This began with the design and installation of the high-level decanter cover steelwork platform which was undertaken in collaboration with supply chain partner and steelwork specialist Peers. The platform was an expanse of 2800m2, sitting at the top of the SBR (18m above ground floor level), with 7m open drops to the basins below. To reduce working at height, the platform was split into eight areas, (approximately 350m2 each), which were in turn split into 14 separate modules. Each module was prefabricated offsite and then installed in a completed state, inclusive of all hand railing and edge protection. Each area took a total of two days to install and complete. Success with this led to modularisation of other areas such as the 20m-high external staircases, which will be delivered to site in two modules and then lifted into position by a tower crane and bolted together in just three days. The 22m-high lift shaft will also be delivered in two modules and then covered with an inner and outer layer of cladding. The supports for this cladding will also be built in to the modular installation, simplifying on-site installation. At another site in Strensham, Worcestershire, Costain is refurbishing 21 rapid gravity filters used in the water treatment works for client Severn Trent Water. The site has to remain operational at all times and so speed is of the essence when it comes to carrying out the work. “We are doing parallel manufacture, manufacturing pipework and all the kit offsite, so that once the filter is offline we could just assemble those components in the filter,” explains Fozard. “Once we had done a filter we would do an analysis of the work we had done and look at how we could do the next one so the potential for improvement was twofold from the standardised offsite approach and then the LEAN collaborative planning construction approach,” he says. In this situation the offsite manufacture of the access platforms alone saved at least four days per filter. 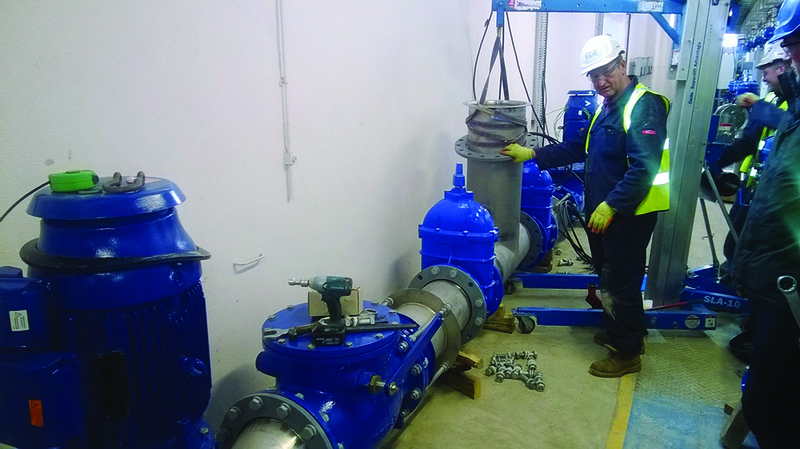 The prefabrication and offsite manufacture of the backwash water header and air scour pipework, which was standardised for each filter and pressure tested before being installed, saved another four days per unit. Reviewing of the works using collaborative planning has saved a further seven days per filter. For the water industry heading along this standardization path will be challenging, as it has been for industries that have adopted this approach like retail and rail, following the techniques used in the aerospace, automotive and oil and gas industries. With water companies such as Severn Trent issuing larger packages of work programmes for AMP 6, Costain says it can start to deliver a better service to client and customers alike. “As these are awarded we will be able to contract formally with our suppliers to deliver 20 schemes instead of one. That is where we can get the real benefits,” says Crabtree. This also means that the relationship with the supply chain is changing. “We can enter into longer term trading agreements of between three and five years and we have introduced this concept to our supply chain and they have warmly welcomed it,” says Crabtree. This in turn means a closer working relationship with subcontractors and suppliers. “What we are doing is embedding the supplier into the team; it is not about driving margins out of everything. If we can get a more standard solution and help suppliers their product development, in an ideal world get to a situation where they do not have to build slightly different products for different water companies. If they become more efficient then our business becomes more efficient as well,” explains Crabtree. Furthermore the contractor is also updating its supply chain questionnaires to understand the level of receptiveness and awareness of BIM, which for the water industry is more focused on asset lifecycle information. Its factory thinking group may only be six months old but it has big plans for the future, extending beyond just the water industry. Costain has been working with universities such as Cambridge, Derby, Loughborough and Sheffield to develop post graduate modules in offsite manufacturing. “We feel that there is a gap in the market for this kind of thing. We need people that have an awareness of new tools and techniques. 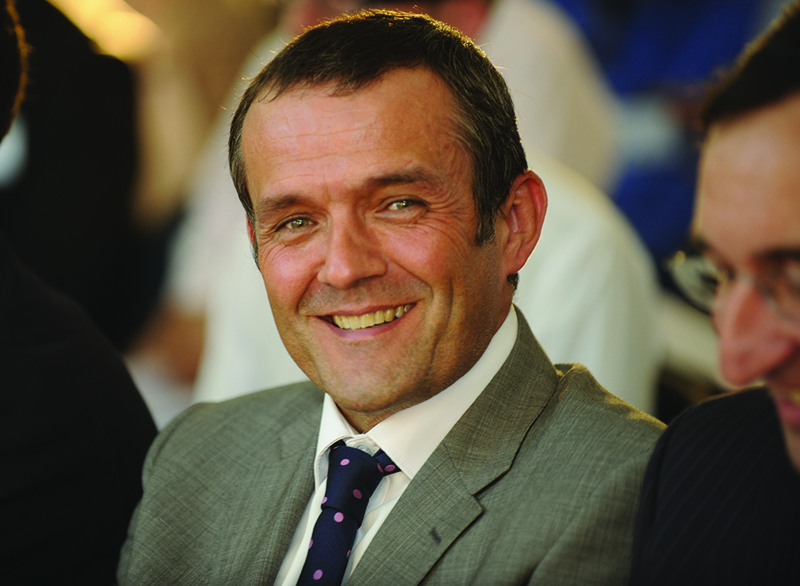 We need the skilled offsite smart constructors of the future, and we are prepared to invest in that,” says Fozard.